You might think that being a postal carrier is an easy job. Being outside all the time and not stuck in some office. Getting to ride around in those cool little postal trucks. But being a postal carrier comes with dangers too. 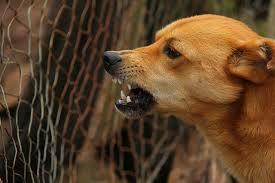 According to the United States Postal Service, about 6,000 postal carriers get attacked every year by animals. The problem has gotten so wide spread, that now the United States Postal Service is considering issuing panic buttons to all their carriers. When the panic button is pushed the postal worker is located via GPS and assistance is sent right away. It is estimated that the cost of the program is about $200 million dollars which seems like a lot of money for a business that is not doing too well these days, but anything that promotes worker safety is a good thing and should be looked into. Whether you are a postal carrier or not, if you have been injured by a dog, or any animal, the owner of that dog, or animal, may be held absolutely liable to you for the injuries you sustained if they had knowledge of any vicious propensity of that dog or animal before the incident. To see if you may be entitled to fair and just compensation for injuries you suffered from a dog, or other animal, contact THE WEINSTEIN LAW GROUP PLLC to see if you have a case. Consultations are always free. Call today and get some answers!